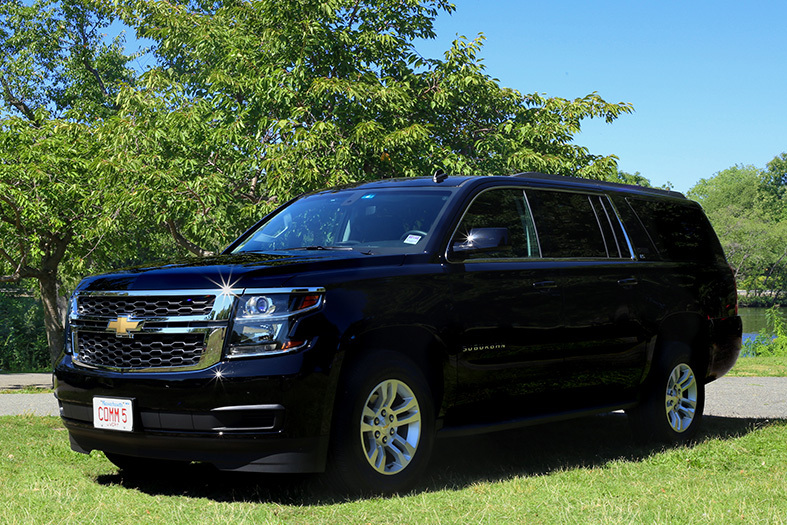 The Suburban offers the complete package; plenty of space to stretch out, store your luggage and enjoy a quiet piece of tranquility thanks to an acoustic-laminated windshield and inlaid doors with triple seals to help reduce wind and exterior noise in the cabin. With a strong, efficient EcoTec3 V8 engine generating 355 horsepower, this solid, oversized SUV has the power to get you wherever you need to go. 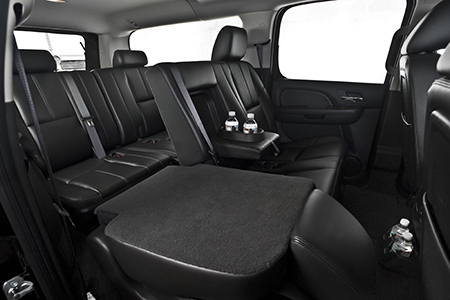 Can accommodate a 6th person in front passenger seat, or 7th if rear seat installed. Fits up to 10 average size bags. 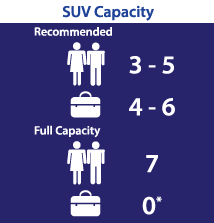 *No luggage space if rear seat is installed.